“I was with my little 2-year-old son, when suddenly, without warning, the water started to get inside my house, I had no option but to jump on top of a nearby mango tree. Then the pain started, and I had no one around to help me. In a few hours I gave birth to my baby girl Sara, on top of that mango tree. I was completely alone with Sara and my son. We stayed on top of that tree for 2 more days after her birth. Later, the neighbors helped me to get down and we came to this place like everybody else,” told Amélia, a single mother who doesn’t know her age, in the improvised accommodation center of Nhamhemba, in the administrative post of Dombe, in Manica province. Cyclone IDAI slammed central Mozambique with an unprecedented fury and destruction. The rescue and immediate assistance efforts, are still ongoing in the hardest hit areas. One of these areas, is the administrative post of Dombe that extends through an 80 km valley that is irrigated by several rivers that, due to the cyclone, violently burst out of their basins generating an immense flooded area. A few kilometers away from Dombe, more than 3,000 people were found surviving with their own limited means. Among them was baby Sara, who now seems to be doing fine despite of her amazing arrival into this world. She is being breastfed constantly by her mother Amélia, who is receiving the solidarity and support from the other affected mothers in the accommodation center. Amélia also receives health and nutrition support from the community health worker Josias Tchaka. Josias also lost his home and his properties during the cyclone Idai, but because he has been trained since 2015, he has been the sole provider of primary health and nutrition care for his neighbors. Cyclone IDAI has brought a lot of pain and destruction to Mozambique. 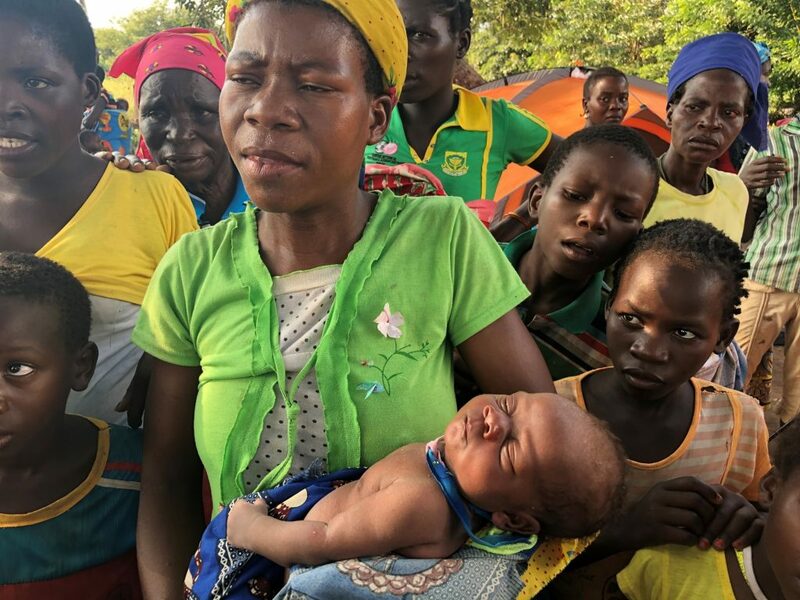 An estimated 1.9 million people have been affected in Mozambique by cyclone Idai, of whom 1 million are children. Besides all the adversity, it has also brought out the best of its people with bravery, courage, solidarity and miracles like the stories of healthy and beautiful babies been born amidst all the chaos. The situation is serious, and UNICEF is providing support to the Government of Mozambique to reestablish primary healthcare services, including vaccination and prevention and treatment of malaria for affected communities and to ensure critical health supplies are available for outreach services. UNICEF is also helping to address nutritional status of under 5-year-old ensuring HIV integration in programming, including treatment of children with severe acute malnutrition and encouraging continue infant feeding practices.